Let me come right at you with a tough question. Is happiness still within our reach? Can there be a full, happy life in an empty generation? How can we be happy? To put the question another way, is there some isolated corner, some hidden alcove, some distant hill where one can find a genuine touch of heaven on earth? No trite answers will do. This particular question is too urgently important to most of us. Where is that elusive doorway, or perhaps just a keyhole, where we can catch a fleeting glimpse of the Eden we know in our hearts this earth should be? Maybe perfect joy is just another myth—an empty reverie composed of wishes and what-ifs. Maybe we just haven’t found the treasure map that would show us where to find what really matters in life. Or maybe we have simply been looking in the wrong places. Could it be that a dusty old composition tucked into a book, found in your own home, has a message you and I have missed for too long? Consider Ecclesiastes: thousands of years old, obscure, deep in the middle of your Bible, rarely disturbed by formal preacher or casual reader in these loud and crowded days. Oh, and one more thing about this book—it was penned by the wisest man on earth: Solomon. Remember him? Sure, we are comfortable among his pithy aphorisms found in the book just preceding this one—the one known as Proverbs. But Ecclesiastes…apart from a few “greatest hits” pulled from its pages, you might well make it all the way through life without a single visit to Ecclesiastes. You are likely to be startled, though, by this book’s starkly modern insights into the human condition. Its message is as contemporary as a postmodern university textbook, a celebrity interview, or even a teenage suicide note. It is like an urgent “E-mail” (E for Ecclesiastes) written an hour ago. It is not the proverbial Solomon but a weary and despairing one who cried out into the emptiness his questions of passion and pathos: Why do I feel so empty? Why do the good guys so often lose? Why do the shadows of death block out the light of life? Solomon explores the questions: What was it that pushed you and me into the wrong pursuits? The unwise relationships? The destructive habits? How can we climb out of it now, or is it too late? 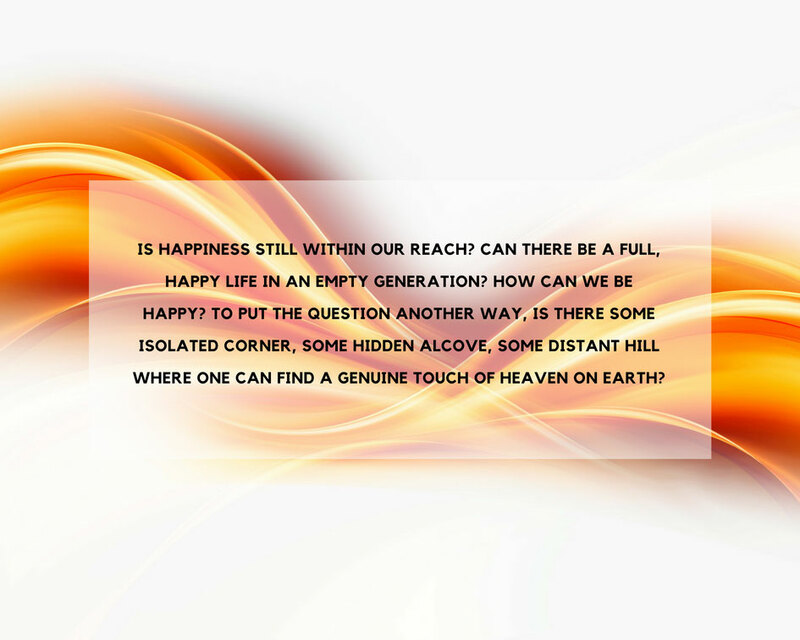 Can we find the happiness we seek? His eyes fall upon the shadows that blanket our hearts, and he describes the problems and regrets that travel uncomfortably with us, like shackles upon feet that long to run free. Listen to the hard-wrought titles of Solomon: anointed monarch, visionary architect, cherished son of David. Yes, he is all of these things. But in the final analysis, he is one more wounded human specimen in the Great Physician’s waiting room, where the rest of us sit for months or years or decades. Yet we need to know this Solomon, for by the grace and wonder of God, his wounds are mingled with wisdom. His pain is colored by perception. And not in spite of but because of his suffering—supplemented at the outset by a special gift from God—Solomon becomes known as the wisest man on the face of the earth. We could do much worse for faculty in the school of life. Listen, then, to the voice of wisdom and experience; the voice that, if you are willing to listen, will speak directly into the flesh and bones and blood cells of your life. Prepare for age-old secrets to renew and re-create you in heart, mind, body, and spirit, that you might recover the joy you have lost. 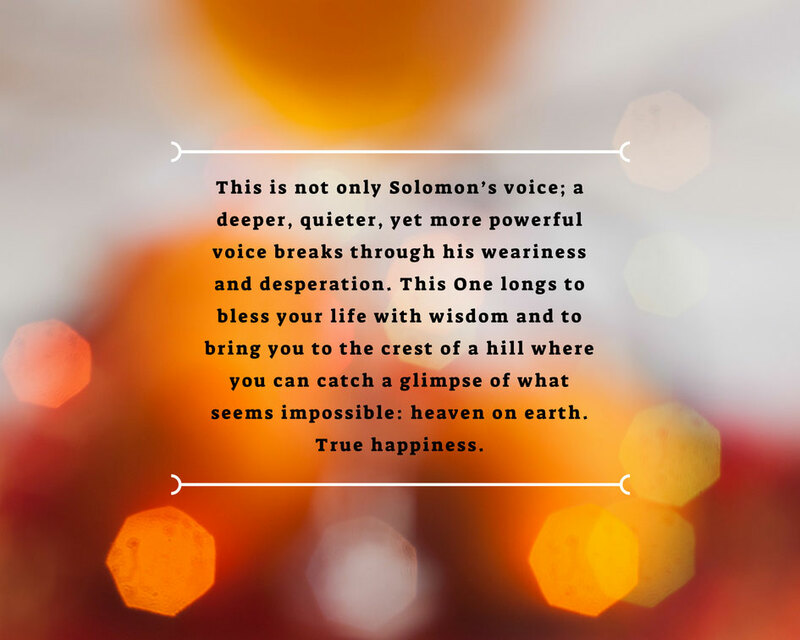 This is not only Solomon’s voice; a deeper, quieter, yet more powerful voice breaks through his weariness and desperation. This One longs to bless your life with wisdom and to bring you to the crest of a hill where you can catch a glimpse of what seems impossible: heaven on earth. True happiness. In the wide world of poetry, the name of John Berryman soared among the elite of his century. He seemed to have made every conquest a poet might crave. He was a beloved university professor. A Pulitzer Prize sat upon his shelf, given for 77 Dream Songs, his boldly innovative collection of 1965. Widespread acclaim brought him fame, friends, and followers. He had seemingly found the pot of gold at the end of the rainbow. But one frozen January day in 1972, he came to the final stanza. The poet walked across a bridge in Minnesota, waved to a stranger, and leaped to his death in the icy Mississippi River. Do you ever feel that way? Rotten about yourself? A huddle of need? Psychologist Carl Jung, in his book Modern Man in Search of a Soul, wrote, “About a third of my cases are suffering from no clinically definable neurosis, but from the senselessness and emptiness of their lives. This can be described as the general neurosis of our time.”3 Jung wrote those words in the early part of the twentieth century, but with every passing year and decade their truth has become even more glaring. That sense of a humanity-wide vacuum has followed us into the 21st century. Rick Warren’s book The Purpose Driven Life has been a New York Times bestseller because it isolates this need so well. Within every single one of us lies an intense desire to understand the why of our existence. The condition is unsettling: in our time, the wise men are running low on wisdom. Maybe this is why we look around at too many of our young people, expecting to see joy and humor and happy faces and infectious energy, only to find instead substance abuse, promiscuity, and suicide. To anyone in the world who cares: Who am I? Why am I living? Life has become stupid and purposeless. Nothing makes sense anymore. The questions I had when I came to college are still unanswered and now I am convinced there are no answers. There can only be pain and guilt and despair here in this world. My fear of death and the unknown is far less terrifying than the prospect of the unbearable frustration, futility, and hopelessness of continued existence. None of this is new. The times may be changing, but human nature is not. We can’t feel a single shred of emotion that hasn’t already been felt a million times over. The wisest of the wise have shared fully in our plaintive cry to the cosmos, including the wisest of them all—King Solomon. Successful though he was, luxuriously wealthy though he was, surrounded by great men and beautiful wives as he was, and exceedingly blessed by God though he was—Solomon still felt all that you and I feel today. The book of Ecclesiastes is an inner road map of his quest—a testament to his search for meaning, for happiness, for purpose. 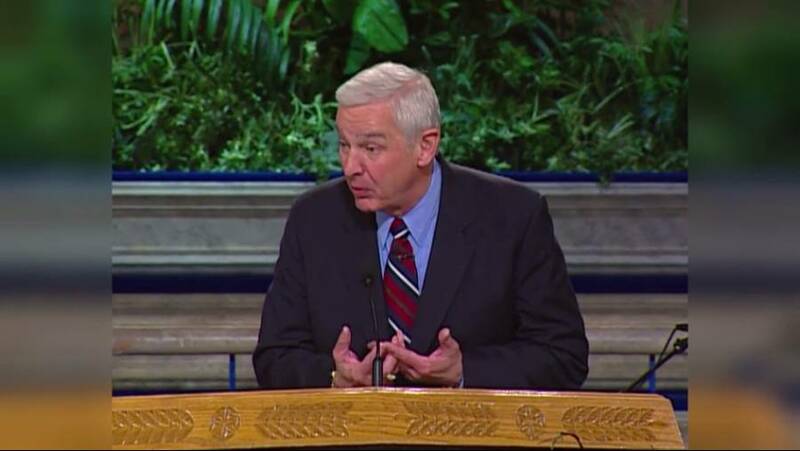 It stands unique within the Bible as a classic of real-world, everyday philosophy, seen through the eyes of the most powerful, influential, and educated man in the world at the time. Solomon was the king of Israel. We find his story, both private and political, within eleven remarkable chapters in the book we call 1 kings. At the time of his birth to David and Bathsheba, the Lord gave him a special name: Jedidiah, meaning “beloved of the Lord.” So it was from the very beginning that an air of greatness and destiny hung about this prince. Imagine the incredible day of Solomon’s ascension to Israel’s throne, in the reflected glory of his father’s wild popularity and unprecedented achievements. God asked the newly crowned Solomon to make a request (1 Kings 3:5). Can you imagine being granted such a privilege? What would you have chosen, once you caught your breath and reflected upon the staggering possibilities? Solomon had the choice of a thousand lifetimes…and he chose the gift of wisdom. The Lord was pleased. Most of His children, He observed, would have opted for lengthy years or unlimited riches. It took wisdom to ask for wisdom; Solomon understood that this one precious gift is the key that opens the door to every other rightful desire. That wisdom was granted, and Solomon enjoyed a gilded life for many years. Every decision seemed to be a sound and perceptive one. His people loved him. And the greatest legacy of all, his crowning achievement, was building the Jerusalem temple—a wonderful dwelling place for God and His people. In seeing this project through, he fulfilled the dream of his earthly and heavenly fathers. During Solomon’s reign, the nation of Israel reached its golden age. It became the empire that had always been within its capability—a light unto the ancient world. Rulers from many countries, including the queen of Sheba, made pilgrimages to Jerusalem to pay homage to Solomon. How wonderful if we could pronounce a “happily ever after” ending on Solomon’s life and the golden age of Israel. It was not to be, not for man or for nation. Solomon’s vast wealth, his fame, and especially his sensual appetites tainted his special standing before God. Wealth, power, and pleasure can be dangerous even in the hands of the wisest; these things long not to be mastered, but to master. Solomon compromised himself before the Lord who had given him enough foresight to know better. The drifting came slowly, deceptively, but the further he moved from the Lord and Creator, the greater became his emptiness, frustration, and confusion. The course of Solomon’s life—and perhaps something recognizably yours—can be traced in the three biblical books that were his legacy. In the morning of his life came the Song of Solomon, a prose rhapsody of passionate romance. In the noontime of his life came Proverbs, a book of heavenly rules for earthly living on the Main Streets of the world. Finally, in the evening of his life came Ecclesiastes, a regretful retrospective. In the disillusioned autumn of his years, Solomon revisited the wreckage of a wasted life. The proverbial pithiness purged, he made one final stab at redemption: an attempt to block others from his own perilous downhill road to destruction. Ecclesiastes is indeed a personal book. Solomon personally presided over a forty-year season of peace. Free of the consuming rigors of military command, he had time to think and write. He had personally accumulated the wealth of an empire. The riches of the world were at his disposal, as well as the counsel of kings across the Mediterranean world. Above all, Solomon had navigated life as the most intelligent and well-educated man of his time. He writes: “I communed with my hearts, saying, ‘Look, I have attained greatness, and have gained more wisdom than all who were before me in Jerusalem. My heart has understood great wisdom and knowledge.’ And I set my heart to know wisdom” (Ecclesiastes 1:16-17). Solomon begins his book with his conclusion: “The words of the Preacher, the son of David, king in Jerusalem. 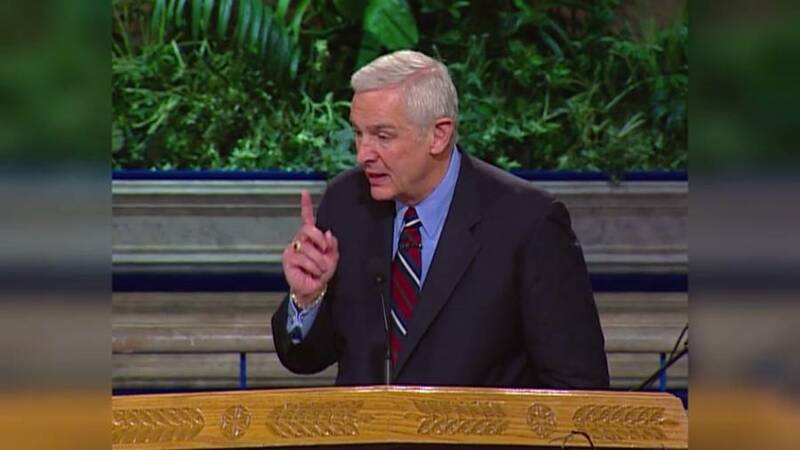 ‘Vanity of vanities,’ says the Preacher; ‘Vanity of vanities, all is vanity’” (Ecclesiastes 1:1-2). Talk about getting smoke in your eyes! Imagine getting to the top only to find that it’s all smoke, illusion, vapor, nothingness, emptiness. I think you know exactly what I am talking about. What did you find at the Everest of your own life? Perhaps you received the promotion, won the lottery, made the dream vacation, got the book published—all for the thorny crown of unexpected despondency. 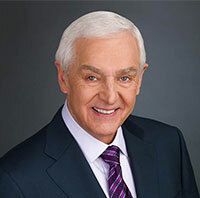 It is that horrifying emptiness, not the first gray hair nor the unwelcomed birthday, that is the real culprit draining our youthful adrenaline. It is the vacuum of success, not the fullness of failure, that deflates in the end. Dreams come true, not free; part of that price is realizing that alas, one more time, that elusive joy, that fleeting happiness, has escaped our clutches. And deep within the quiet of the soul, something suggests that one more time we have looked in the wrong place. If heaven is to be found on earth, no mountain could be high enough, no ocean could provide the necessary depth. 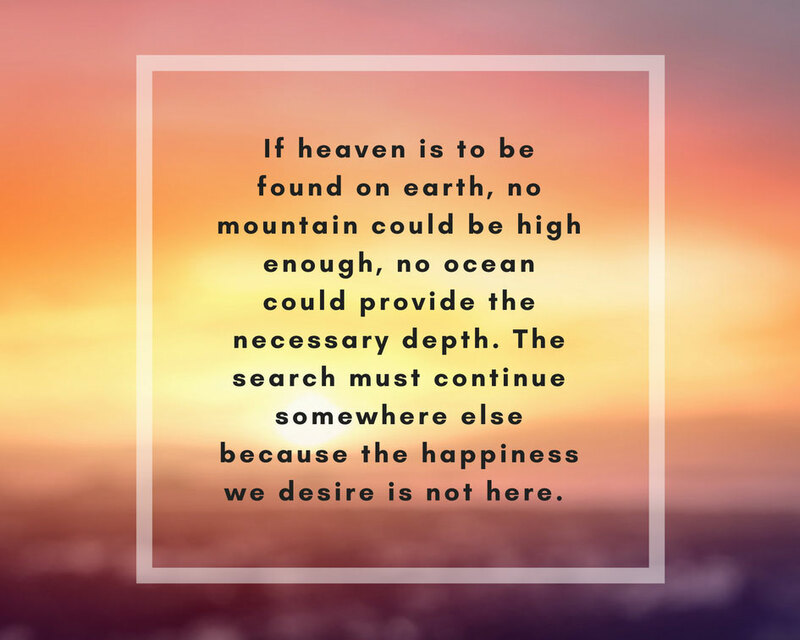 The search must continue somewhere else because the happiness we desire is not here. Come, then, and join the search. Climb with Solomon to the roof of the world and take in the panoramic view. Then climb down again and walk with him down the boulevards of life. Our journey of discovery together is designed to require one brief month. Take one chapter at a time, one short reading per day. This is, after all, not a quick stroll but a crucial pilgrimage. You may never set out on a journey of greater import. You will want to stop and smell a rose or two, take in a deeper truth, sit and reflect before moving on to the next short chapter and tall truth. Get to know Solomon—king, philosopher, philanderer, elder sage—as you have never known him. Then one month hence we will rest like children, free and happy and unburdened, with the weight of the world off our shoulders—for we will have found at last the object of every quest, the true North Star of every journey, the never-dimming light of our fondest dreams: happiness. Celebrity Skin, written by Courtney Love, © 1998, Mother May I Music. BMI. Christianity Today, April 1, 1977, 25-26. Carl Jung, Modern Man in Search of a Soul (Harvest Books, 1955), 70. Victor E. Frankl, Man’s Search for Meaning (New York: Washington Square Press, 1984), 128. Rick Warren, The Purpose-Driven Life (Grand Rapids: Zondervan, 2002), 19-20. Abba Eban, Abba Eban: An Autobiography (New York: Random House, 1977), 609. Jon Krakauer, Into This Air (New York: Doubleday/Anchor Books, 1997), 3-4.